Bozeman and Billings, Montana… Good luck to all hunters this fall hunting season. 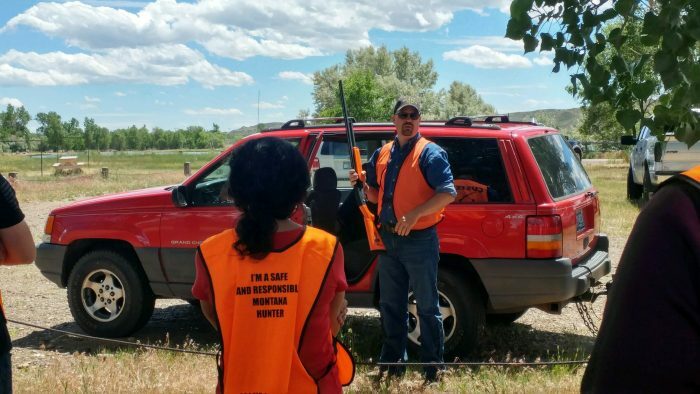 With general rifle season approaching, the Custer Gallatin National Forest hopes you have a good hunt and offers some tips and reminders in order to protect your natural resources and make your visit more enjoyable. Grizzly bears are on the move looking for food. In the fall, they are in hyperphagia, which means they are consuming as many calories as possible to prepare for hibernation. To help ensure your safety and the safety of others, be sure to follow proper food storage practices and carry bear spray. Bear attractants include food, garbage, toiletries, cosmetics, livestock feed, animal carcasses, and any other items that curious bears may investigate. The purpose of properly storing food and other attractants is to protect yourself, other Forest users, and wildlife. The Food Storage Order for the Custer Gallatin National Forest is in effect for the Hebgen Lake, Bozeman, Yellowstone, Gardiner and Beartooth Ranger Districts. The Order requires that all attractants be appropriately stored when not actively attended or possessed (including during nighttime hours) and when not actively being transported, prepared, or eaten. All attractants must be stored in an approved bear-resistant container (certified by the Interagency Grizzly Bear Committee – http://igbconline.org/certified-products-list/) that is locked or otherwise secured, in a hard-sided vehicle constructed of solid, non-pliable material with no open windows, or suspended at least 10 feet clear of the ground at all points and 4 feet horizontally from supporting trees or poles. Hunters should be especially vigilant with harvested game animals. The Food Storage Order prohibits camping within ½ mile of any known animal carcass that is on the ground or within 100 yards of any acceptably stored animal carcass. The Order also prohibits leaving an animal carcass on the ground unless it is ½ mile or more from any camping or sleeping area and at least 200 yards from any Forest road or trail. It is the responsibility of hunters to move carcasses or parts thereof of harvested game that do not meet these requirements. For more information on bear related safety and food storage go the Custer Gallatin Forest Webpage. Don’t forget to pick up a Motorized Vehicle Use Maps (MVUMs) before heading out. These maps outline designated road and trail systems and are free at any of the Custer Gallatin Forest Ranger District Offices or online at www.fs.usda.gov/main/custergallatin/maps-pubs. In addition, there are a few roads and trail closures that go into effect during the spring and fall seasons so please check the MVUM or with your local Ranger District Office before heading out. For more information visit us online or call the Forest Service office near where you plan to be. The telephone numbers for each District Office is on the Webpage under the “Contact us” link. Ensure you’re bringing only certified weed free feed onto public lands. To qualify, your hay bales must be tagged. Washing your vehicles thoroughly before heading off on your hunting trip will help ensure you’re not spreading noxious weeds as well. There is a 16 day stay limit in place for the Custer Gallatin Forest. Enjoy your stay in one place for 16 days and then find another outside of a five mile radius. Finally, you can report any violations you may see in Montana to 1-800-TIP-MONT or in South Dakota, call 1-888-OVERBAG.